According to Fox News, Ocasio-Cortez declared at a campaign fundraiser there was “no debate” that fossil fuel production should be stopped. “There’s no debate as to whether we should continue producing fossil fuels. 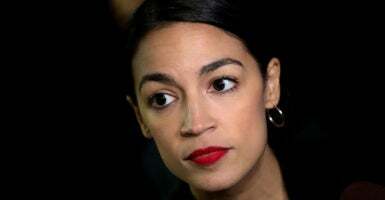 There’s no debate,” Ocasio-Cortez said. Well, I think a lot of it has to do with changing our strategy around governance. You know there’s a lot of inside baseball and inside the beltway as you, you always hear that term thrown around. But there are very few organizers in Congress. And I do think that organizers operate differently. It’s a different kind of strategy. And what it is, is really about organizing and, and really thinking about that word: organizing. Segmenting people. Being strategic in their actions in really bringing together a cohesive strategy of putting pressure on the chamber instead of only focusing on the pressures inside the chamber.